Negative gearing is a popular investment strategy as it allows a net loss to be deducted against an investor’s personal tax liability at their marginal tax rate. While negative gearing has likely been in operation since the first personal income taxation returns were filed many decades ago, the current housing affordability crises has seen this widespread practice become a target of controversy. The notion that negative gearing leads to an increased supply of rental dwellings is flawed: 92% of investment is used to purchase existing dwellings, displacing previous owner-occupiers or tenants to buy or rent elsewhere, respectively, resulting in little to no net increase in the rental stock. Negative gearing is a poor investment strategy over the long term for investors pursuing capital gain rather than rental income. Housing prices have increased by an average of 2.4% annually from 1880 to 2011 in real terms (before 1996, housing had delivered a real return of only 0.7% annually). Negative gearing for purposes of realizing capital gain, however, becomes a viable strategy during the boom phase of a housing cycle while capital values are substantially appreciating. Contrary to claims that quarantining negative gearing during 1985-87 led to a rental crisis, rents increased in only some capital cities, while stagnant or falling in others. Negative gearing is biased towards the wealthy as they can fund proportionately larger current income losses from multiple investment properties and have higher marginal tax rates. Also, investors are allowed to deduct the costs incurred from earning an income, unlike salaried employees. It is poorly targeted, as both high- and middle-income tenants receive the theoretical subsidy. As a policy, negative gearing creates a substantial cost to taxpayers: it is estimated that $33.4 billion of tax revenues in real terms was forgone from 1993-94 to 2009-10. It is recommended that, at a minimum, negative gearing be quarantined to the purchases of newly-constructed dwellings, or preferably, be abolished. The Commonwealth Rent Assistance (CRA) scheme is better targeted towards those who require help in the course of renting rather than subsidising residential property market investors. Although the CRA could increase rents, it appears to be the most straight-forward mechanism available to policymakers to aid tenants. In Australia, few housing market policies are more contentious than negative gearing. Among policymakers, academia, mass media and industry, supporters and detractors of this policy take aim at one another in a figurative crossfire. Despite the publicity it has received and its popularity with government and property investors, curiously little analysis of negative gearing can be found within easy reach, with much of it accessible only in dense, specialized academic journals. Within the mainstream news media, one can only find an occasional fragment. Australia’s policy on negative gearing is considered a sacred cow by investors and politicians, with Prime Minister Julia Gillard, Treasurer Wayne Swan and Federal Housing and Homelessness Minister Brendan O’Connor ruling out changes to this policy. The reason for this obstinacy is that negative gearing allows a property investor to deduct the loss, if one is made in the course of renting a property, against the personal income of the investor at their marginal tax rate, thus reducing their total tax liability. Negative gearing has become a deliberate investment strategy: purposely run a property at an operating loss (as rental income isn’t sufficient to cover interest payments on mortgage debt as well as property-related expenses like repairs and maintenance). The expectation is concessionally taxed capital gains (which can be taken at will or not) and a reduced income tax cost trump the operating losses while allowing the investor to build a portfolio of assets with the minimum of effort that will become cash positive over time. Supporters defend negative gearing on the basis that it provides an incentive to investors to purchase property for rent, thus increasing the stock of rental properties as a proportion of the total housing stock. As the reasoning goes, negative gearing holds rental prices down. Without it, the rental crisis currently experienced by tenants in Australia would then be exacerbated. The present housing and rental crisis, which is placing undue financial stress on many Australians, has provided the spark to question the validity of Australia’s negative gearing policy. As housing and rental prices have outpaced wages, making life for first-home owners and tenants more difficult, some may ask whether the Australian government’s generous subsidies and tax breaks for property owners could be the cause of the current housing crisis. Perhaps the public sees little reason for subsidising investors, whether they choose to gamble on making a return by selling property at a higher price or eventually becoming cash flow positive. Despite the fact that negative gearing has existed for a long time, much assertion but surprisingly little evidence has been put forth to justify this policy across all classes of investment, whether it be shares, business, or property investment. Those who support negative gearing provide negligible evidence to show that is it a sound policy, given it is a government-legislated privilege. It is up to independent, concerned parties to perform a thorough investigation and the fact-finding needed to discover where the truth lies. Accordingly, the purpose of this report is to examine the justifications for negative gearing on a theoretical and empirical basis. While negative gearing is allowed for other types of investment to varying degrees, for instance, businesses and shares, this report’s investigation is limited to residential property investment. The ability to claim deductions arising from negatively geared investments appears to have been present since uniform personal income taxation was implemented by the federal government during the 1930s with the establishment of the Income Tax Assessment Act 1936. This legislation superseded the hastily constructed Income Tax Assessment Act 1915 when personal income taxes were first levied to fund World War I. Even before this, individual states had their own tax codes in operation, with Tasmania first introducing this tax in 1880. By 1907, all states imposed personal income taxation. It is worth noting how negative gearing is calculated in the course of running a rental property. This is governed by a simple formula: gross rental income – rental costs. If the result is negative, that is, costs are greater than income, the investor makes a net loss. (The opposite of a negative gearing is positive gearing, that is, an investor makes a net positive rental income). The law stipulates that mortgage interest repayments, rather than principal repayments, can be deducted from gross rental income. The loss, once adjusted by the investor’s marginal tax rate (MTR), can then be deducted from the personal income tax liability. A simple example: John purchases an investment property for $500,000. One fifth, or $100,000, is financed out of savings and the rest via a $400,000 loan from the bank (ignoring the other costs associating with property like stamp duty). The mortgage interest rate is 8%, so annual interest repayments are $32,000 (not including principal). Gross rental income of $25,000 per year is earned by renting the property to tenants, and John has incurred $4,000 in general running costs. This produces a net rental loss of $25,000 – $4,000 – $32,000 = $11,000. John earns a wage of $90,000 from work, and has a marginal tax rate of 37%. John can deduct $11,000 x 37% = $4,070 from his personal tax liability. Overall, a net annual loss after tax of $11,000 – $4,070 = $6,930 is incurred, a significant reduction compared to the loss in the absence of negative gearing provisions. Negative gearing provides an attractive incentive to invest in the property market as long as a number of conditions are met. Investors must be able to meet current losses from their personal income over the time period of ownership. If John can cope with losing almost $7,000 per year without suffering financial difficulty, then the investment is sustainable. More importantly, the property’s capital value must appreciate substantially in order for John to make a profit through realising capital gains upon sale if speculation is the aim. By contrast, if John views property as a long-term investment regardless of fluctuations in capital value, rental price growth coupled with debt repayments will turn the property into a positively geared investment. Capital or rental price appreciation received should exceed the general rate of inflation (typically between 2-4% annually). Otherwise, the real value of the property remains unchanged or delays a positive cash flow. Interest rates must not increase significantly as the current income loss grows, perhaps to the point where financial stress necessitates early sale. Lastly, an investor must have sufficient earnings from other sources to make use of the tax deduction which is obtained through negative gearing. If all these conditions are met, then negatively gearing property investments may be a viable strategy. The strong Australian economy has not experienced a recession since the early 1990s (a brief downturn caused by the global financial crisis in 2008 did not technically amount to a recession). This along with reduced personal tax burdens, real rising incomes, extensive property subsidies and tax breaks, and rapid increases in property values, has delivered an economic environment conducive to negative gearing. 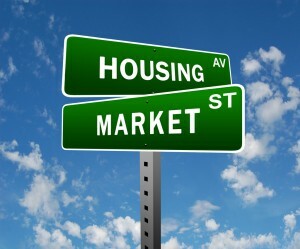 From 1996 to 2010, housing prices surged by 130%, adjusted for inflation and quality. The Australian land market has never experienced a boom of this magnitude. Not even the property bubble of the 1880s or post-War War II upswing resulted in such a run-up. Figure 2.1 shows the long-term trend in housing prices from 1880 to 2011. Given the substantial increase in capital values noted above, the relative and absolute number of negatively geared investors should increase compared to positively geared investors. Negatively geared investors gained mightily in the housing boom, encouraging more investors to flock into the market to follow suit. Certainly, the data bears this out. The Australian Tax Office (ATO) has kept records of individual investor rental income statistics, from financial year (FY) 1993-94 through to 2009-10, providing a useful dataset for examining investor trends in the residential property market. In 1993-94 there were 980,471 investors, with 480,736 (49%) positively geared and 499,735 (51%) negatively geared. The number of investors increased to 1,751,679 in 2009-10, a significant rise of 79%, with 640,757 positively geared and 1,110,922 negatively geared. This is a remarkable increase of negatively geared investors compared to those who are positively geared. The number of negatively geared investors increased by 122% over this period, while those positively geared increased only 33%. The trend shows that negative gearing is becoming central to residential property investment. Figure 2.2 shows the total number of property investors, both positively and negatively geared. One of the major inconsistencies of the tax system is found within the treatment of how businesses and investors are allowed to deduct the costs incurred in acquiring revenue and rental income, respectively. In the course of running a business, proprietors are allowed to deduct costs paid which are directly connected to the earning of revenue in calculating gross profit and loss and hence their tax liability. These costs comprise, but are not limited to, wage and salaries, rent, loan interest, utility bills, depreciation, capital works, and so on. For property investors, the costs incurred in obtaining income are deducted from the gross rental income, resulting in a pre-tax or net income amount, which is taxed at the investor’s MTR. The remaining amount is profit for the investor. It is common sense that both businesses and investors should be allowed to deduct the costs directly incurred in business and investment, so much so that it should be unnecessary to describe this if not for the fact that labour is unable to engage in this behaviour. A worker incurs substantial costs in the course of earning a wage but tax law prevents the deduction of these costs against wages, allowing only allowing minor deductions, for instance, work-branded apparel. The substantial costs that most workers, if not all, have to pay for are accommodation, traveling to and from the workplace, and childcare; these costs are not to be deducted from assessable income. There is a double standard in operation here. While investors are allowed to deduct the many expenses incurred, salaried workers have far more limited deductible expenses. From a distributional or equity perspective, this policy is biased towards the wealthy, as business and investment capital ownership is concentrated into this class, relying proportionately less upon wages. Data from the federal government’s latest major review of the taxation system, the Australia’s Future Tax System Review, reinforces this. The top 1% of taxpayers received 5.3% of salaries or wages, but relatively far more income from investments. In 2005-06, the top 1% received 4% of net rent, 9.4% of gross interest, 35.7% of dividend income, 38.6% of net capital gain, 22.2% of net business income, 23.1% of net partnership and trust income, and 28.5% of capital income. The lowest, second and third household quintiles derive their net worth more from wages and salaries than wealth. For the fourth quintile the ratio is fairly even, but the highest rely more upon wealth. The total distribution of wealth is severely concentrated according to data from the Household, Income and Labour Dynamics in Australia (HILDA) Survey. In 2002, the top 5% of households by net wealth owned 24% of all net property, 24% of superannuation, 43% of equity investments, 70% of net businesses, 27% of bank accounts, 16% of vehicles, 47% of other assets (cash investments, trust funds, life insurance and collectables), 5% of credit card debt, and 13% of other debt, for a collective 31% of all net household worth. ABS data for 2009-10 confirms that the wealth distribution by net household worth has not deviated considerably from the time of the older HILDA survey. To make matters worse, the benefits to wealth are compounded by governments preferring to tax wages and business. The federal government’s single largest tax revenue base by far is personal income tax at $138 billion for 2010-11, followed by company income taxation at $65 billion and the goods and services tax (GST) at $48 billion. If workers were allowed to deduct the costs incurred of earning their wages, this would have the effect of altering behaviour as workers adjust their circumstances to the new policy. As rents are deductible, workers may choose to live in more expensive locations closer to their workplaces, for instance, inner urban and city areas. By contrast, workers may choose to live further out as travel expenses are deductible. Workforce participation could increase as childcare expenses become deductible. Childcare is expensive to the point where one parent will choose not to work as this cost comprises a considerable proportion of income earned from casual or part-time work. Implementation of this policy will devastate personal income taxation receipts. This should be seen as a benefit to both workers and the economy, as labour obviously becomes relatively better off and the economy as a whole is relieved of substantial deadweight losses. These losses are not insignificant. The marginal deadweight and average deadweight loss for labour income taxes are estimated at 24% and 16%, respectively. Almost every major tax, though levied on other sectors of the economy, is passed on to labour. It is distinctly odd that government chooses to raise much of its revenue from employment (including that from business) when more efficient tax bases are available. The first is economic rents and the second is consumption. Economic theory suggests that the first base (primarily composed of land) should be the source of most, if not all, taxation revenue. Evidence exists to demonstrate substantial land value and rent resource taxes could replace both personal and corporate income tax. It is easy to recognize that negative gearing disproportionately benefits the wealthy, for two reasons: higher incomes allows for sustained and substantial current income losses arising from multiple property investments, with these losses deducted at the highest marginal tax rate (45% for those earning more than $180,000 in 2011-12). For those on lower incomes, the reverse holds true. If wealthy individuals own many investment properties whilst simultaneously running multiple net income losses, the investor’s personal tax liability could be lowered to the point of reducing the MTR to that of a lower bracket, further advantaging the wealthy. To sum up this line of reasoning, investors are unduly advantaged by the present taxation arrangements compared to labour. Investment capital is overwhelmingly concentrated in the wealthiest households, they can deduct the direct costs incurred of investments against the income generated, have the highest personal incomes and thus MTRs, can deduct investment losses against their personal tax liability, and can lower their effective MTRs. Clearly, the tax system is biased towards the rich in terms of cost deduction and tax liability minimization. Some of this bias can be reduced by maintaining consistency: labour should be treated similarly to investors by allowing the deductibility of costs incurred in directly earning a wage or salary. A reduced rental supply means lower rental vacancies and increased rents (via reduced demand for housing services and increased demand in non-housing areas). Lower rental returns would impact heavily on the predominantly middle income or ‘mums and dads’ investor and the typically low income renters would pay the price of reduced rental supply via higher rents. According to this line of reasoning, the beneficiaries are tenants, especially those on the lower end of the income scale, having their rental choices expanded while paying lower rents. Investors allegedly make profit while tenants allegedly pay lower rental prices. Certainly, the negatively geared dwelling stock has risen substantially compared to the positively geared and total housing stocks. The negatively geared and total dwelling stocks have increased by 98% and 30%, respectively, from 1994 to 2009. The following figure illustrates the growth of negatively geared properties. Despite the rosy imagery of a policy that simultaneously benefits investors and tenants, this argument in favour of negative gearing is problematic. Negative gearing will only increase the supply of rental properties relative to the total residential dwelling stock if investors, spurred into entering the market via this incentive, purchase additionally constructed dwellings and not those from the existing stock. If the latter occurs, it is simply a substitution of renters for owner-occupiers or a replacement for other tenants, with the implication that the previous owner-occupiers or tenants will purchase or rent elsewhere, respectively. The net rental stock as a proportion of total dwelling stock will not increase and rental prices will not decrease. As Figures 2.4 and 2.5 shows, this has been the case for the last two decades as the vast majority of investment loans are used to finance the purchase of existing dwellings, rather than adding to supply through new, additional construction. It certainly does nothing to increase the supply of housing, since the vast majority of landlords buy established properties: 92 per cent of all borrowing by residential property investors over the past decade has been for the purchase of established dwellings, as against 82 per cent of all borrowing by owner-occupiers. Precisely for that reason, the availability of negative gearing contributes to upward pressure on the prices of established dwellings, and thus diminishes housing affordability for would-be home buyers. In the short term, the supply of real estate is fixed. Given that there is a fixed amount of real estate, all government policy can do is to affect how this fixed stock of real estate is distributed between owner-occupiers and investors. For instance, if there are one million residential properties in Sydney, then the vast majority of them will have people living in them. Those persons will be either renters or owner-occupiers. Given that there is a fixed stock of housing, for every person that enters into the market as an investor, there will be one less person owning a house as an owner-occupier. It follows that because negative gearing encourages investors to enter the real estate market, in the short run it results in there being less owner-occupiers. Most of those owner-occupiers that have missed out on owning a home will then be forced to be renters. In the long term, it makes little sense for the supply of rental properties to increase compared to the total residential stock unless there is a profound upward swing in housing prices, with investors spurred into the market on expectations of making a substantial profit through realising capital gains upon sale. If enough investors believe that housing prices will rise in the future, they will flood into the market, causing prices to rise, essentially creating a self-fulfilling prophesy or, in more technical terms, a positive feedback loop. On the other hand, if housing prices are stagnating or falling over the long term, then there is little incentive for speculative investors to remain in the market, thus exiting en masse and refusing to return until they are sure that prices will fall no further. A downturn in housing prices creates a similar positive feedback loop. Negative gearing amplifies the exodus of investors during a downturn as they are making neither rental nor capital gains. As Figure 2.1 illustrates, housing prices have followed a volatile, boom bust pattern over the last 131 years. During the boom phase, it is very likely that the ratio of rental properties as a proportion of total residential stock does increase because rapidly escalating housing prices provides incentive for more investors to enter the market. As the market peaks and then starts to fall, investors will quickly become net sellers as the likelihood of capital gains are remote, thus decreasing the ratio. If housing prices decrease more than it rose during the course of the boom phase, that is, overshooting, it is possible the ratio will fall to a level even lower than at the beginning of the cycle, with the downturn amplified by negative gearing’s corollary: thin capitalisation. As with Australia, evidence shows that the US and Dutch housing prices tend to track the rate of inflation over centuries, even though these markets were (and still are) plagued by considerable booms and busts. From 1880 to 2011, Australian housing prices increased by an annual average of 2.4% in real terms. This figure falls to 0.7% if the boom period of 1996-2010 is excluded. Accordingly, there is little incentive for investors to enter the market over the long term using negative gearing if housing prices, including rental prices, only track inflation or slightly above, especially given superior returns elsewhere, for instance, equities. In the absence of long-term empirical evidence to settle this issue, there is a theoretical case to be made that the ratio will remain stagnant over the long term, providing no net benefit to tenants. In theory, by making property ownership more attractive to investors than it otherwise would be, it is contended that negative gearing leads to an increased demand for residential property and, in turn, real estate prices rise. It is argued that house prices continue to rise from negative gearing until the tax savings has been ‘capitalised’ into the price. Economic modelling and research has been relied on to substantiate this price effect. Moreover, it is doubtful that landlords would pass on the benefits of negative gearing to tenants in the form of lower rents. First it is doubtful that negative gearing reduces costs to landlords. Second, it is doubtful that any benefit can be passed on if it is already fully capitalised in the price of the property. Third, it is doubtful that landlords have the altruism to defy market forces and pass on lower costs to tenants. Statistics indicate the rise in housing costs for private renters in Australia is comparable to the rise in house prices. If house prices rise then housing loans and borrowing costs would also be higher. There is little reason why landlords should not pass on the increased costs in the form of higher rents. An odd contradiction surfaces when considering negative gearing within the context of other housing subsidies. The FHOG is supposed to increase the home ownership rate for reasons of owner-occupation (the Australian Dream) while negative gearing is supposed to increase the number of rental properties available for rent. This appears to be a contradiction, as intentionally increasing the number of first home buyers reduces the number of properties available for investors to purchase in order to rent out and vice versa. While first home owners have their purchasing power increased through the FHOG subsidy, investors also have their purchasing power increased through interest cost deductions and negative gearing. 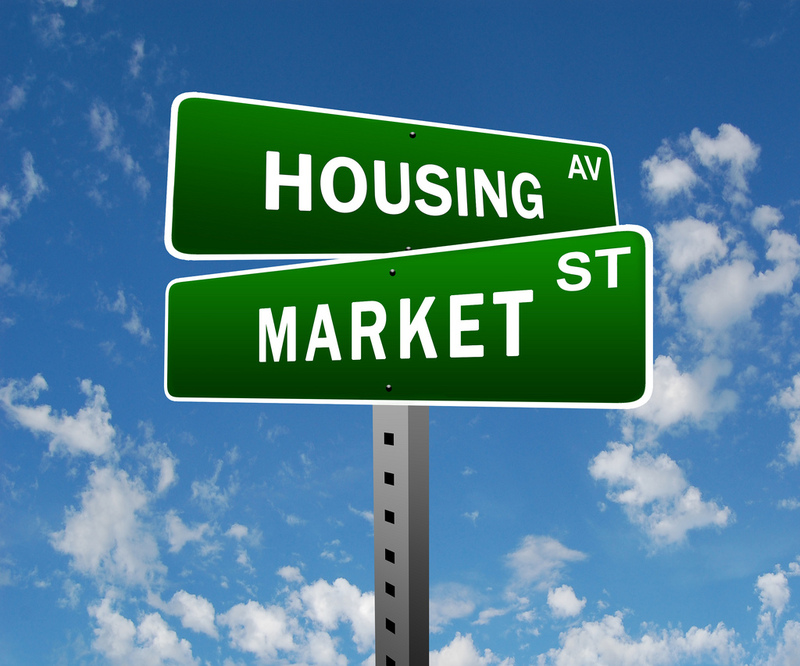 It thus remains unclear whether new home buyers or negatively geared investors have greater purchasing power. To date, it is not known if policymakers have sufficiently analysed the causes and effects that these conflicting policies have upon the housing market to ascertain whether they adversely affect each other, perhaps negating the FHOG and negative gearing altogether. These two measures working together can deliver a substantial boost to land values, primarily benefiting pre-existing landowners. Another fault in this line of reasoning has to do with the continued implementation of negative gearing. If it had enticed more investors into the property market thereby ameliorating a rental shortage, then negative gearing could be wound down and eventually removed. The strange leap in logic is that as negative gearing has been in operation for a long time, it has held back a rental shortage over the same period of time. If a shortage did not exist, then there is no pretext for advocating negative gearing on the basis of increasing the ratio. Clearly, its implementation over the long term is contradictory. One cannot maintain there has been a rental shortage for decades, thus utilising negative gearing to relieve it, because if a shortage has existed for such a long time, then negative gearing is the wrong policy due to its demonstrable ineffectiveness. However, if it is assumed that landlords do pass on some of the benefits of negative gearing, does this mean that negative gearing should be maintained because some of the cost saving is passed on to tenants? If we are looking for policies that lead to greater rental affordability, then the answer is no. There are more efficient ways to lower costs of renting residential property than by providing a tax concession to some landlords and hoping that this will trickle down to tenants. If the government wishes to directly aid tenants, then the best way to do this is to give some of them rental assistance. Admittedly, there is a possibility that some of this will ‘trickle up’ to landlords by in the form of higher rents. However, such a distribution is much more equitable and well targeted than the negative gearing alternative. Added to this, negative gearing does not discriminate between tenants with different income scales. If rental prices were lowered across the entire market, then those who do not require help with renting, for instance, high-income professionals and millionaires, also receive the subsidy as well as those who do need it. If government is concerned about rental affordability, there are other policy options to pursue. The obvious candidate is the Commonwealth Rent Assistance (CRA) scheme, a subsidy provided by Centrelink to help those with those with low-incomes who rent and are currently receiving a Centrelink payment. As of 2010-11, it carried a taxpayer cost of $3.1 billion. Tenants are subsidized directly through the CRA scheme, which is far more directly targeted to those who need assistance, as opposed to subsidising investors and high-income tenants. Increasing the CRA by $25 per week has the potential to provide relief to 100,000 tenants. A 30% increase, equating to an extra $16 to $24 per week depending on the payment it is attached to, is estimated to cost taxpayers $810 million in the 2012-13 financial year. As shall be seen later, this is a bargain compared to the cost of negative gearing. It can be argued that because the CRA is a demand-side measure, it will have the inevitable effect of raising rents, therefore partially negating the purpose of the CRA, which may explain why landlords and the property lobby are fond of this policy. This has occurred in the case of the living away from home allowance (LAFHA), an employee benefit that is exempt from fringe benefits tax, provided by employers to employees to compensate them from having to live away from their principle place of residency for work reasons. This employer subsidy is usually made available to high-income employees, typically skilled professionals and executives, as they have either the bargaining power and/or skill set to demand it as part of their remuneration. From 1st July 2012, however, the government implemented changes to the LAFHA, making it less attractive as it is now subjected to tax and is restricted in its use, with further changes to be made over the next two years. As a result of these changes, rental prices in the upper end of the capital city market has already fallen considerably and is expected to continue on this course as employees downsize to more affordable accommodation. The only attributable cause for the downturn in rental prices has been the LAFHA reform. It is estimated to save taxpayers $661 million by 2015-16. One of the more popular arguments used by supporters of negative gearing revolves around an event that occurred during the 1980s. The federal government realized by 1985 that negatively geared property was becoming a favoured tax shelter in Australia, costing approximately $175 million. It was decided by government to remove negative gearing by prohibiting any excess of deductions over rental income to be deducted against other assessable forms of taxable income, but only on properties purchased after 17th July 1985 and any losses made could be offset against positive returns from other rental properties purchased after this date. Losses could also be offset against future gains. The government did admit negative gearing placed upward pressure on housing prices. On 1st July 1987, negative gearing was reinstated, on the grounds that the quarantine was directly responsible for causing a strong surge in rental prices. Property investors and housing lobbies had successfully pressured the government. This alleged surge was offered as proof that negative gearing helps to keep rental prices in check. Since then, this event comprises a favoured response on behalf of those who support negative gearing. On closer examination of capital city rents, however, this supposed run-up in rental prices is not as clear cut as has been claimed. Figures 2.6 and 2.7 display Australia’s capital city rent indexes from 1972 onwards with the shaded areas marking the period of quarantining, with Table 2.1 summarizing the findings. Capital City % Change Increase? This assertion has attained the status of urban myth. However, it is not true. If the abolition of negative gearing had led to a landlords’ strike, as proponents of negative gearing usually assert, then rents should have risen everywhere (since negative gearing had been available everywhere). In fact, rents (as measured in the consumer price index) actually only rose rapidly (at double-digit rates) in Sydney and Perth. And that was because in those two cities rental vacancy rates were unusually low (in Sydney’s case, barely above 1 per cent) before negative gearing was abolished. In other capitals (where vacancy rates were higher), growth in rentals was either unchanged or, in Melbourne, actually slowed. Notwithstanding this history, suppose that a large number of landlords were to respond to the abolition of negative gearing by selling their properties. That would push down the prices of investment properties, making them more affordable to would-be home buyers, allowing more of them to become home owners, and thereby reducing demand for rental properties in almost exactly the same proportion as the reduction in the supply of them. There are other factors that may have impacted upon the housing market during the period of quarantine. The interest rate in July 1985 rose from 15.48 to a peak of 19.39 in December 1985, a relative increase of 25%, before falling to 12.43 in July 1987. The rapid increase in the interest rate in the latter half of 1985 appears to have curtailed investment into the residential rental market, as new investment loans fell from $193 million in July 1985 to $130 million in December 1985. In September 1985, the capital gains tax regime was implemented by the Hawke/Keating government, though like the quarantining of negative gearing, it was only applicable to assets purchased on or after the date of implementation. Also, a stock market boom was currently taking place, with shares providing a more attractive investment vehicle relative to residential property. These factors provide the likely explanation as to why housing prices decreased by 5.4% nationally during the quarantining period, which is detrimental to the financial health of those engaged in negatively gearing property investments. How Much Does Negative Gearing Cost? One of the more interesting facets of the negative gearing debate is that little information exists regarding the cost of this tax expenditure. Fortunately, the ATO provides enough data to construct an estimate. Back in 1985, the government estimated the annual cost to be $175 million, and it has risen substantially since then. In 1993-94 the cost was $850 million, fluctuating around the $1 billion mark over the next several years. Then from 1998-99 onwards, the cost rapidly escalated to a peak of $3.8 billion in 2007-08 before falling to $2.9 billion in 2009-10. Put into perspective, this is 0.2% of GDP for 2009-10, comparatively small by that scale. Figure 2.8 shows the annual cost of negative gearing. Over the seventeen year period that data are available, negative gearing has cost taxpayers $33.5 billion. This comprises a substantial amount that could be put to better use, for instance, reducing the tax burden, increasing public housing investment and/or increasing the CRA’s budget. Recommendation 1: Reform or abolish negative gearing. As approximately 92% of all investment loans are used to purchase existing rather than newly constructed properties, the result is little to no net increase in the supply of rental properties relative to the total housing stock. Accordingly, the current pattern of purchasing the bulk of rental properties from the existing residential stock undermines the purported effectiveness of negative gearing. Policy outcomes can be enhanced by allowing negative gearing deductions for newly constructed properties but not for future purchases of established properties. It can be argued that there exist more effective policies to increase the stock of rental properties and/or lower rental prices other than negative gearing. It makes little sense to subsidize property investors, regardless of the reasons for investment. It is patently unfair in a distributional sense that the wealthier cohort (investors), as opposed to labour, are able to deduct part of a loss from their investments against personal tax liabilities even though their wage is earned separately from loss-making investment property. Recommendation 2: Increase CRA expenditures. Whether or not the quarantining or removal of negative gearing results in higher rents, the CRA is the obvious policy of choice to provide assistance to tenants who are struggling in the rental market. As of 2010-11, the CRA cost taxpayers $3.1 billion, similar to the cost of negative gearing for 2009-10, and a relatively small amount compared to the estimated $53 billion that property owners receive annually through subsidies and tax breaks. Some of the savings from quarantining or removing negative gearing could be used to finance greater CRA expenditures. A note of warning is that the CRA, as a demand-side measure, may place upward pressure on rental prices. Recommendation 3: Review current tax law to allow labour to deduct expenses incurred in the course of earning a wage or salary. There is no good argument against allowing labour to do this. Currently, unlike investors, workers cannot engage in this tax-minimization behaviour when incurring major costs in the course of earning an income, for instance, accommodation, travel and child care. While it is considered standard practice for many real estate investors to adopt negative gearing as a strategy to minimise tax liabilities, the evidence to support negative gearing as an economic policy is scant. At the theoretical level, there are many arguments that can be put forth to show that negative gearing does not function as claimed by its supporters. The most obvious argument is that as 92% of residential property investment is for the purchase of existing dwellings rather than those newly-constructed, former owner-occupiers and tenants have to purchase or rent elsewhere, respectively, thus resulting in little to no net increase in the rental stock compared to the total residential dwelling stock. Long term housing price datasets from Australia and other countries demonstrate that housing prices tend to track the rate of inflation or slightly above. Accordingly, it makes little sense for speculative investors to negatively gear property except during the boom phase of housing cycles where substantial capital appreciation can potentially comprise a major source of profit. A faulty line of reasoning used by the housing lobby against the quarantining or removal of negative gearing is the quarantining that occurred during 1985-87, where rental prices supposedly surged. Clearly this could not be the cause from quarantining as rental prices should have increased across all residential markets, which did not occur. Interestingly, no evidence is put forward by its supporters to show that negative gearing has the impact that it is claimed to have on the rental market; there is only the reference to the quarantining that is used as a scare story and the occasional mention of negative gearing increasing the supply of rental properties relative to the total dwelling stock. Given the lack of evidence to support negative gearing and the ample evidence against, negative gearing remains in place due to the pressure placed upon the political process by property owners and the housing lobby. Although there are at least one million investors engaged in negatively gearing real estate property, there are millions more who would potentially object to subsidising these investors. Accordingly, it is their economic and political power that keeps this privilege in place, not votes. Policy formation is only weakly correlated with scientific evidence, and is overwhelmingly determined by concentrations of private wealth. Overcoming the vested interests of the $4 trillion dollar landowning class and their political allies will be a difficult task, indeed.  Senate (2008: 64-69) provides a useful summary of the views held by its supporters and detractors.  Bennett (2012); Franklin (2012); Vedelago (2012). These costs include, but are not limited to: advertising for tenants, body corporate fees and charges, borrowing expenses, cleaning, council rates, deductions for decline in value, gardening/lawn mowing, insurance, interest on loan(s), land tax, legal expenses, pest control, property agent fees/commission, repairs and maintenance, capital works deductions, stationery, telephone and postage, travel expenses, water charges and sundry rental expenses (ATO 2011a: 22). For FY 2011-12, ignoring the Medicare levy and surcharge. Derived from Stapledon (2007: Table 2.5, Column 3). Rescaled from 1880 to 2006, 2007-2011 are author’s estimates. Prices are adjusted for quality and are deflated using the national accounts consumption deflator, 2011 dollars. ATO (2004; 2005; 2006; 2007; 2008; 2009; 2010b; 2011b, 2012). This is not a complete number of property investors in Australia, given that the ATO records the number of properties held by individuals, not by companies and trusts. Investment properties can be solely or jointly owned, and bought and sold during the same year, resulting in duplicate records generated for the same property. Further, not all individual investors complete their property schedule documents. Headey et al. (2005: 165). ABS (2012: Table 1). 10 taxes account for 90% of revenue, in descending order: personal tax, company tax, GST, fuel excise, payroll taxes, stamp duties, council rates, superannuation funds, tobacco excise and land taxes. The remaining 115 taxes account for the rest (Treasury 2008: 14). Kohler (2004). Brown et al. (2011) suggest that while negative gearing has generated similar distortions to the changes in capital gains tax policy, more attention should be paid to the latter rather than the former. The astronomical rental prices in mining towns illustrate this point. KPMG (2010: 48). These are: tobacco excise, import duties, GST, alcohol excise, fuel taxes, stamp duties other than real property, luxury car tax, labour income tax, conveyancing stamp duties, motor vehicle registration, motor vehicle stamp duties, payroll tax, insurance taxes, and gambling taxes, with corporate income tax and royalties & crude oil excise resulting in a partial impact. The number of investors is a good proxy for determining the rental dwelling stock as the vast majority own one property (ATO 2012: Table 2.7). ATO (2004; 2005; 2006; 2007; 2008; 2009; 2010b; 2011b, 2012); Stapledon (2007: Table B1, Column 2) for 1993 to 2006, 2007-2009 are the author’s calculations for the total housing stock. RBA (2012a). Data reflects new housing finance commitments for investment property on a monthly basis. RBA (2012a). Data reflects new housing finance commitments for investment property on a monthly basis, nominal prices. Keen (2010). The FHOG is part of a package of subsidies that favour home owners, not home ownership (Yates 2009: 37). PC (2012: Table 16A.54), nominal prices. HIA (2011); Kutner (2011). Hanegbi (2002: 354) notes that for a brief period in 1983, the Victorian Deputy Commissioner of Taxation quarantined negative gearing. It was overturned by the Federal Commissioner of Taxation as it was not based upon a change in law but the Victorian Deputy Commissioner’s interpretation of the law. ABS (2012b: Table 11). CPI-deflated, 2011 dollars. Negative gearing has likely enticed property investors to take upon tens, perhaps hundreds, of billions more in mortgage debt than they would have otherwise, which is certainly not a small sum compared to GDP. ATO (2004; 2005; 2006; 2007; 2008; 2009; 2010b; 2011b; 2012). CPI-deflated, 2012 dollars. The ATO, for the years 2004-05 to 2009-10, provides a breakdown of investors’ losses by MTR, allowing for a precise calculation of the cost of negative gearing, assuming that all eligible investors are rational enough to make use of negative gearing. The average rate for 2004-05 was 31%, 2005-06 (30%), 2006-07 (28%), 2007-08 (27%), 2008-09 (27%) and 2009-10 (27%). Thus, for the years previous to 2004-05 where a breakdown is not provided, an average rate of 28% is applied to losses spanning 1993-94 to 2003-04. AAH. (2011a). “Australia’s Broken Housing System,” Australians for Affordable Housing, Melbourne. AAH. (2011b). “Housing Costs Through the Roof: Australia’s Housing Stress,” Australians for Affordable Housing, Melbourne. AAH. (2011c). “AAH Budget Statement 2012-13: Easing Housing Stress,” Australians for Affordable Housing, Melbourne. ABS. (2011). “6554.0 – Household Wealth and Wealth Distribution, Australia, 2009-10,” Australian Bureau of Statistics, Canberra. ABS. (2012). “5506.0 – Taxation Revenue, Australia, 2010-11,” Australian Bureau of Statistics, Canberra. ATO. (2004). “Taxation Statistics 2001–02,” Australian Tax Office, Canberra. ATO. (2005). “Taxation Statistics 2002–03,” Australian Tax Office, Canberra. ATO. (2006). “Taxation Statistics 2003–04,” Australian Tax Office, Canberra. ATO. (2007). “Taxation Statistics 2004–05,” Australian Tax Office, Canberra. ATO. (2008). “Taxation Statistics 2005–06,” Australian Tax Office, Canberra. ATO. (2009). “Taxation Statistics 2006–07,” Australian Tax Office, Canberra. ATO. (2010a). “Working for all Australians: A brief history of the Australian Taxation Office 1910-2010,” Australian Tax Office, Canberra. ATO. (2010b). “Taxation Statistics 2007–08,” Australian Tax Office, Canberra. ATO. (2011a). “Rental Properties 2011,” Australian Tax Office, Canberra. ATO. (2011b). “Taxation Statistics 2008–09,” Australian Tax Office, Canberra. ATO. (2012). “Taxation Statistics 2009–10,” Australian Tax Office, Canberra. Bennett, Cortlan. (2012). “Housing crisis: negative gearing will stay,” Herald Sun, 31st August. Brown, Rayna, Rob Brown, Ian O’Connor, Gregory Schwann and Callum Scott. (2011). “The Other Side of Housing Affordability: The User Cost of Housing in Australia,” The Economic Record, 1-17. Dwyer, Terry. (2003). “The Taxable Capacity of Australian Land and Resources,” Australian Tax Forum, 18(1): 21-68. Eichholtz, Piet M. A. (1997). “A Long Run House Price Index: The Herengracht Index, 1628-1973,” Real Estate Economics, 25(2): 175-192. Eslake, Saul. (2011a). “Time to change the unfair rules for negative gearing,” The Age, 25th April. Eslake, Saul. (2011b). “Billions in handouts but nothing gained,” Sydney Morning Herald, 16th March. Franklin, Matthew. (2012). “Wayne Swan stands by negative gearing,” The Australian, 9th April. Hanegbi, Rami. (2002). “Negative Gearing: Future Directions,” Deakin Law Review, 7(2): 349-365. Wealth in Australia,” The Australian Economic Review, 38(2): 159-175. HIA. (2011). “Proposed Changes to Negative Gearing under the Henry Review,” Housing Industry Association, Canberra. Keen, Steve. (2010). “Australia’s Faustian deal with debt,” Dissent, 32: 61-64. Kohler, Alan. (2004). “How tax system egged on property speculation,” Sydney Morning Herald, 29th June. KPMG. (2010). “CGE Analysis of the Current Australian Tax System, Final Report,” KPMG, Australia. Kutner, Eddie. (2011). “A negative impression,” The Age, 2nd May. Minack, Gerard. (2008). “Why I’m a housing bear,” Eureka Report, 18th August. Nicholls, Stephen. (2012). “Mansion rents to plunge after tax break runs out,” Sydney Morning Herald, 21st July. O’Donnell, Jim. (2005). “Quarantining Interest Deductions for Negatively Geared Rental Property Investments,” eJournal of Tax Research, 3(1): 63-113. PC. (2012). “Report on Government Services 2012,” Productivity Commission, Melbourne. Putland, Gavin. (2011). “How to Abolish Income Tax,” Prosper Australia, Melbourne. RBA. (2012a). “D6 Lending Commitments – All Lenders,” Reserve Bank of Australia, Sydney. RBA. (2012b). “F1 Interest Rates and Yields – Money Market,” Reserve Bank of Australia, Sydney. Senate. (2008). “A good house is hard to find: Housing affordability in Australia,” Select Committee on Housing Affordability in Australia, Canberra. Shiller, Robert. (2005). Irrational Exuberance, 2nd Edition. United States: Broadway Books. Treasury. (2008). “Architecture of Australia’s Tax and Transfer System,” Australian Treasury, Canberra. Treasury. (2012). “Reform of the Living-Away-From-Home Allowance and Benefit Rules, Explanatory Materials,” Australian Treasury, Canberra. Vedelago, Chris. (2012). “What housing policy?,” Domain, 21st June. Yates, Judith. (2009). “Tax expenditures and housing,” Australian Housing and Urban Research Institute, Melbourne. This is a fantastic article – the most in-depth analysis of negative gearing I’ve seen. You should get it peer-reviewed/published! 1/ The equity argument used between investors and labour only considers property investors. The analysis should include a broader definition of investor to include share investors. 2/ The equity argument should be extended to include business owners vs investors vs labour. 3/ The recommendation to remove negative gearing from existing properties should be analyses in the context of the same recommendation applying to existing shares. Only allowing negative gearing on “new” shares will qualitatively have the same effect on the share market as the property market. 4/ The recommendation to remove negative gearing from existing properties – if applied to listed property trusts – will create a significant economic bias on the stock market. The distortion effect would be worth considering. 5/ The recommendation to allow labour to deduct costs incurred could be taken to mean that all food, clothing, accommodation and travel costs are tax deductible. The impact on tax revenues and provision of public goods should be considered. Also, presumably compliance costs will skyrocket. The net effect being to outweigh the “costs” of negative gearing. they are reasonable comments. The issue is how far do we spread ourselves? We are primarily concerned with scarcity rents. Shares don’t fall into that category. Mladen, there is a fundamental difference between NG for property investment and share investments. You don’t have the right to take off your share losses from your wage income, but only from capital gains from shares. If the same is done for property market, NG won’t disappear it will only be the same like for any other investment, which is fairer. Now the rich are subsidized by every other taxpayer. Hi – excellent article, however you need to also include rental vacancy rates as part of your analysis. If my memory is correct I recall that the long term series from REIA shows that there was indeed a significant downward trend in vacancy rates during the period of NG quarantining, particulalrly in Sydney. low rental vacancy rates in Sydney may have had something to do with the 2.4% increase. However, as Soos & Curtis have shown here, REIA vacancy rates are a flawed measure as they only include rental properties on the market, not those being witheld for capital gains. Compounding this, rental vacancy rates (at least here in Vic) are submitted on a voluntary basis and published ad hoc. In short, vacancy rates don’t show what pricing will reveal. Soos comprehensively shows that NG quarantining did not affect the wider Australian market.